I’ve been having some work done here in the studio recently and have been sharing my space with a couple of carpenters. I am never comfortable sharing my workspace with anybody and always feel a bit distracted, even inhibited. But both Tony and Nick are good and easy going guys and I have been able to get some work done. 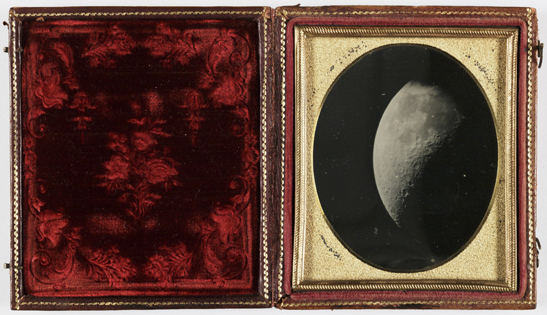 Yesterday, Tony told me to check out the NASA’s Astronomy Picture of the Day. He thought it would look familiar to me. 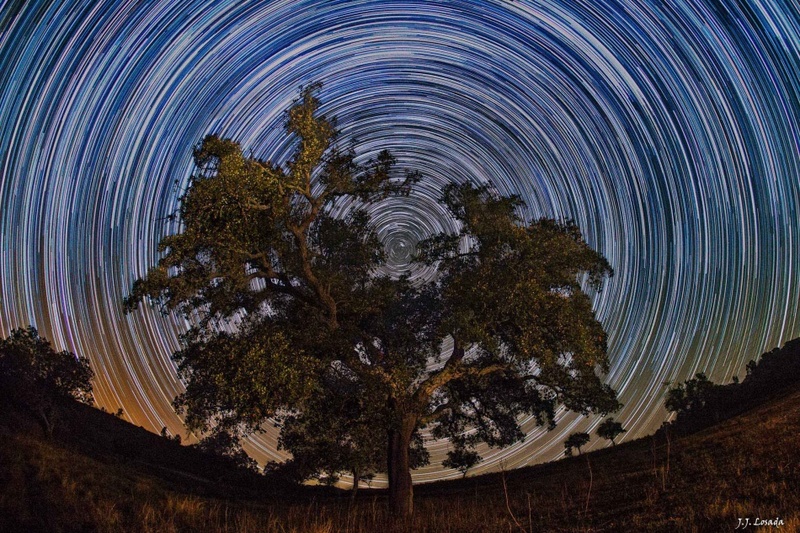 Clicking on the site I was greeted by the photo above, a magnificent image of a great tree under a night sky taken by Spanish astrophotographer Jeronimo Losada near Almaden de la Plata in the province of Seville, Spain. Through a break in the upper reaches of the tree you can see the North Celestial Pole. Losada focused on the North Star and over two hours recorded a series of 30 second exposures which created the star trails that make up this spectacular sky. It was just a great photo and it certainly did strike home even though the tree was not exactly my Red Tree. But Tony was right. The tree , the saddle in the center of the photo created by the wide angle of the lens and the silhouettes of trees on the horizon reminded me of much of my work. I had even done a painting or two with that same swirl of light and color in the sky. 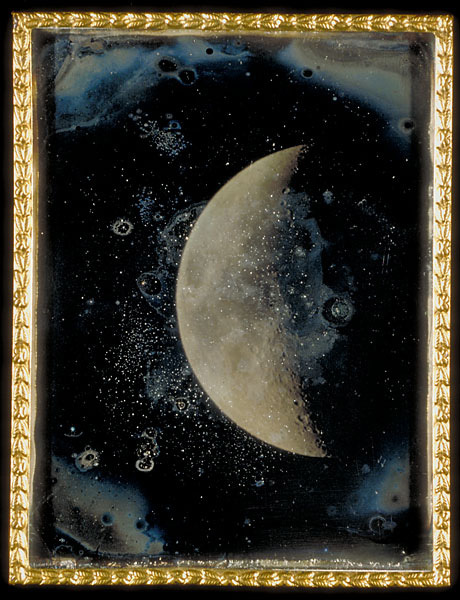 Please check out Jeronimo Losada’s blog to see some of his other wonderful shots of the landscape beneath the night sky. There are some brilliant shots there and it’s well worth a visit. It is a Spanish language site but most browsers have translators. And for some other great shots of the heavens check out the Astronomy Picture of the Day. Today’s is a great shot as well. 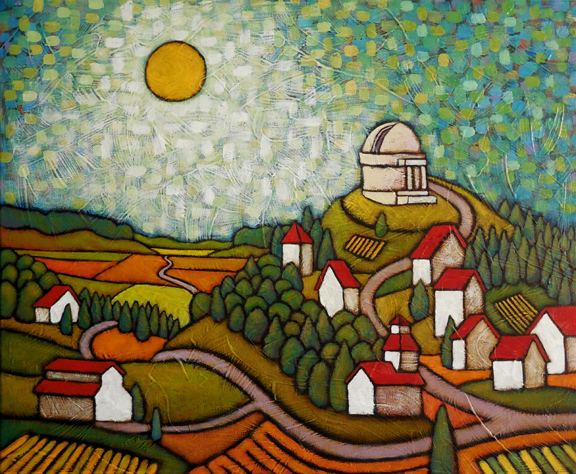 I have painted a couple of paintings this past year that have featured an observatory propped upon a hill. I like the idea that this building has a shape and a location that instantly defines it, making it almost symbolic of the desire to transcend this world that it contains. This desire to transcend, to know more, is built within us and we seek these existential answers in many ways, sometimes in the stars and sometimes in the spiritual. Others seek these answers in other worldly ways, either through love , pleasure or labor, among many other things. These different ways of searching are what I think is the central theme of this new new painting, The Upward Gaze, a 20″by 24″ canvas that is part of my November show, Alchemy, at the Kada Gallery. The observatory is there resting high above the other buildings as it looks for the celestial answer: where have we come from? Then there is the a church with a steeple that is pointing upward seeking an response from above to its question: where are we going? On the lower left there is a barn among the fields which for me symbolizes the question: what is our purpose here? The Red Roofs of all of the buildings here act as indicators, each pointing upward. The road heads outward from this group of building, moving toward and disappearing before the horizon, over which an all-knowing sun/moon hovers among a mosaic sky. The soft,broken colors of the sky feel like light particles to me, the energy that propels this whole thing.